Privatix is an established and profitable company that was founded by a group of experienced IT entrepreneurs and talented developers who are passionate about the freedom of the internet, online security, and the rights of individuals and businesses to privacy protection. Our team - which has more than 10 years’ cyber security experience - are the developers of an incredibly easy-to-use, free VPN service - at Privatix.com - that can be used by anyone anywhere, regardless of their level of technical experience. Since 2015, more than 750,000 users have used this service. Privatix is also the team behind Temp-Mail.org. It has more than 250,000 daily visitors and filters out more than 10 million spam emails a day. Privatix has developed the advanced internet identity checking website Ipleak.com, and many other privacy-related services. Now we have created a concept of a decentralized, fully autonomous network on blockchain. 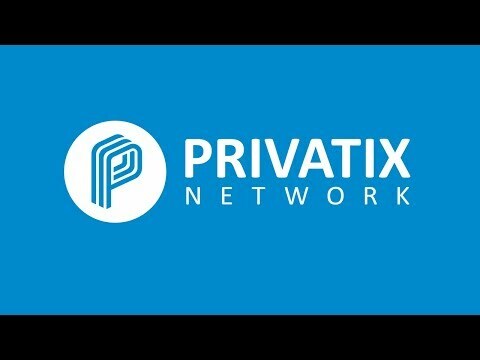 The Privatix Network is designed to have its own advanced crypto-economy and allow the users to rent out their broadband. We believe it has the potential to end the current era of internet censorship and totally change the current VPN market, among others (e.g. cyber security).